The Prince Educational Society was established in the year 1978 by our Founder & Chairman Dr. K. Vasudevan, M.A., B.Ed., Ph.d. He cherishes his dream vision by imparting knowledge in today's youth to be responsible citizens of tomorrow. Over the years, the society has seen tremendous growth in the education sector. We from the management are committed to encourage each and every student in this esteemed institution to achieve academic excellence, mould them to face the competent world and fit into the corporate culture and produce successful students well on their path to a sterling career making proud their almamater. 1. Prince Matriculation H.S. School, Madipakkam, Chennai-600 091. 2. Prince Matriculation H.S.School, Nanganallur, Chennai-600 114. 3. Shri Venkateshwara H.S. School, Madipakkam, Chennai-600 091. 4. Prince Shri Venkateshwara Padmavathy Engg College, Ponmar, Chennai-600 127. 5. Prince Dr.K.Vasudevan College of Engg & Tech, Ponmar, Chennai-127. 6. 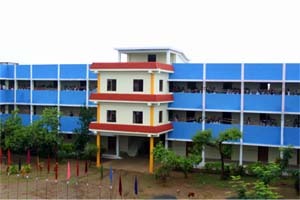 Prince Sri Vari Vidyalaya, Madipakkam, Chennai-91. 7. 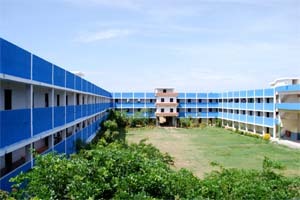 Prince Sri Vari Vidyalaya, Nanganallur, Chennai-114.